A baby's first Christmas is definitely a landmark to be celebrated. 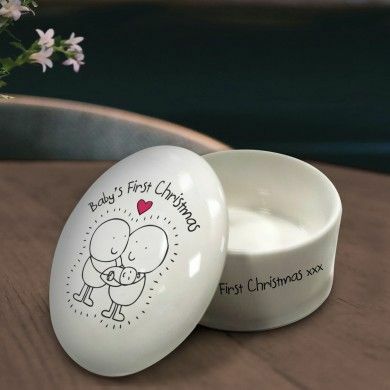 The magic of their first Christmas can always be remembered with this cute trinket box. 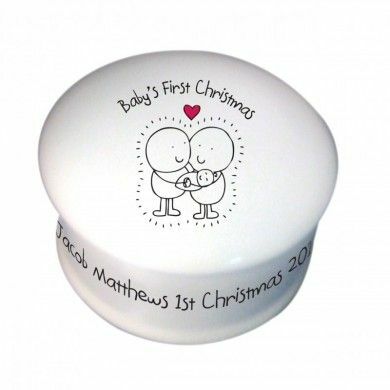 Your message is printed around the base whilst our the cartoon family adorns the lid, making a commemorative keepsake that could someday hold their first hair clipping or first tooth. This adorable box can be used to decorate a home for many Christmases to come.